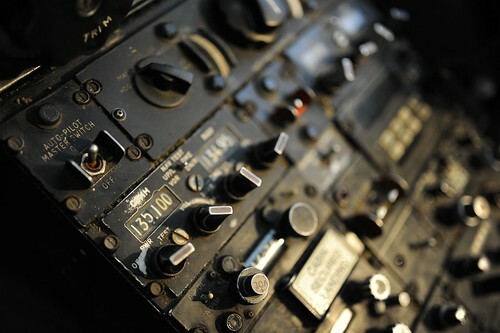 Too much of that little switch near the top may make pilots less good. And what about car drivers? Photo by pysta on Flickr. With the Tesla accident, the evidence suggests that the crash happened before the driver even realized that he was about to hit a truck. He seemed to be suffering from automation complacency up to the very moment of impact. He trusted the machine, and the machine failed him. Such complacency is a well-documented problem in human-factors research, and it’s what led Google to change the course of its self-driving car program a couple of years ago, shifting to a perhaps quixotic goal of total automation without any human involvement. Carr is author of The Glass Cage, which notes how reliance on automation for systems which may pitch you back into control carries big risks. Two million people are living with sight loss in the UK, of whom around 360,000 are registered as blind or partially sighted. At the moment, eye health professionals rely on digital scans of the eye to diagnose and determine the correct treatment for common eye conditions such as age-related macular degeneration and diabetic retinopathy. …Faster and more efficient diagnosis of eye disease could help prevent many thousands of cases of sight loss due to wet age-related macular degeneration and diabetic retinopathy, which together affect more than 625,000 people in the UK. Moorfields Eye Hospital will share approximately one million anonymised digital eye scans, used by eye health professionals to detect and diagnose eye conditions. Anonymous clinical diagnoses, information on the treatment of eye diseases, model of the machine used to acquire the images and demographic information on age (shown to be associated with eye disease) is also being shared. This has been collected over time through routine care, which means it’s not possible to identify any individual patients from the scans. And they’re also historic scans, meaning that while the results of our research may be used to improve future care, they won’t affect the care any of our patients receive today. What we want machines to do: take over tedious routine which conceals important data. I’m meantime wondering: is machine learning already being used for airport X-ray scanning? Promoted posts aren’t a tax on marketers, they’re a huge opportunity to reach well beyond a core existing audience and out to over a billion targeted consumers who can be exactly who you want them to be. Anyone fighting for an extra tiny percentage of their followers to see something should look up and see that they could be reaching 10,000% with a basic media strategy. In reality that’s the audience you need to be reaching to grow and if you’re not willing to invest to do so then you’d be better off spending your time elsewhere. Tweaks to Facebook’s news feed of this sort have absolutely no impact on the scale you achieve through promoted content, and these posts will still be inserted throughout the timeline. That last point is a zinger. Getting people to read the newsfeed more, and perhaps disfavouring publishers’ posts, is rather like an advertising-funded TV channel replacing rolling news with reruns of favourites and auction shows and Jeremy Kyle. Nobody’s going to complain. But you won’t end up wiser. They not only changed the world – they enable the world to continue working as it does. Though you could argue (feel free) that they existed all the time; what they really did was to change our understanding of the world. See how many you already know. And quote them at the kids who complain about maths making no sense. as iOS becomes more and more defined as a “luxury” product when comparable products from Chinese device manufacturers begin to cost 60% or 70% less, the end-user calculus points toward tossing the “tea” in Apple Harbor. Presumably everyone who does business at the App Store will also do business at Google Play, or via a Android side-load, where it is less restrictive and innovation may not be as blocked. Perhaps a new 3rd-party, truly independent app store that is not tied to Google or an existing player is called for. So that developers and end-users can truly self-determinate. I don’t know if Spotify is going to break off from the Crown and decide to put up its permanent shingle at Android and Windows and as a 3rd-party Mac or web-only app. It might back down. Then again it might not. It could be that a “Tea Party” protest in the traditional sense is at hand. Is it time to throw the iOS tea into Apple harbor and declare independence from Evil King Tim? Talk Back and Let Me Know. Agreeably nutty. (Also about three times too long.) One can reliably state that articles entitled “How X will dethrone Apple” are wrong per se. 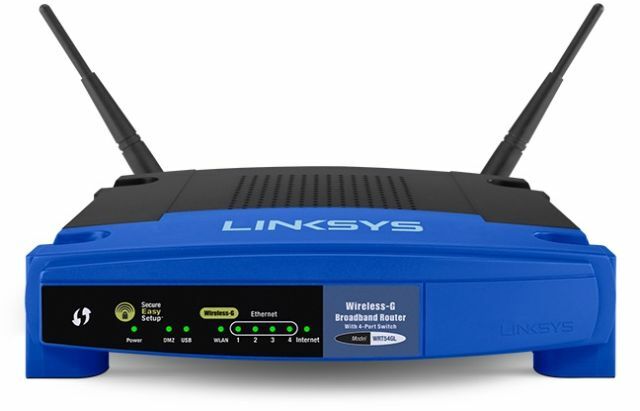 Despite all that, people still buy the WRT54GL in large enough numbers that Linksys continues to earn millions of dollars per year selling an 11-year-old product without ever changing its specs or design. “To be honest, it somewhat baffles my mind,” Linksys Global Product Manager Vince La Duca told Ars. But production won’t stop any time soon as long as Linksys’ suppliers, including chipmaker Broadcom, keep selling the parts needed to build the WRT54GL. “We’ll keep building it because people keep buying it,” La Duca said. • Content discoverability. Our tasks were fairly simple and gave users a fair amount of freedom (e.g., “Find a technology article that interests you”), so people were actually able to complete them most of the time. However, given the focus of our study, we used a more nuanced measure of success (content discoverability) that took into account not only whether people completed the task, but also how they completed it. Thus, content discoverability measured whether users were able to find the content they were looking for by using navigation (and not search) in those cases when the content wasn’t directly linked from the homepage. • Task-difficulty rating. At the end of each task, we asked participants to rate how easy or difficult the task was on a scale from 1 to 7, with 1 being easy and 7 being difficult. The task difficulty is a subjective metric; it measures users’ self-reported assessment of the task. It usually reflects their overall experience in using the site, so a high estimated difficulty rating will indirectly indicate actual difficulty in locating the navigation and navigating through the site. • Time on task. This metric represented the time it took participants to complete the task, whether successfully or not. A menu can add or decrease task time, if it is easy or difficult to find, open, or use, so longer task times also reflect the added interaction cost due to a less usable navigation. Our findings show that, across all three different metrics, hidden navigation significantly decreases user experience both on mobile and on desktop. Again, I’d like to see a similar version, but with Hillary supporters/rallies.